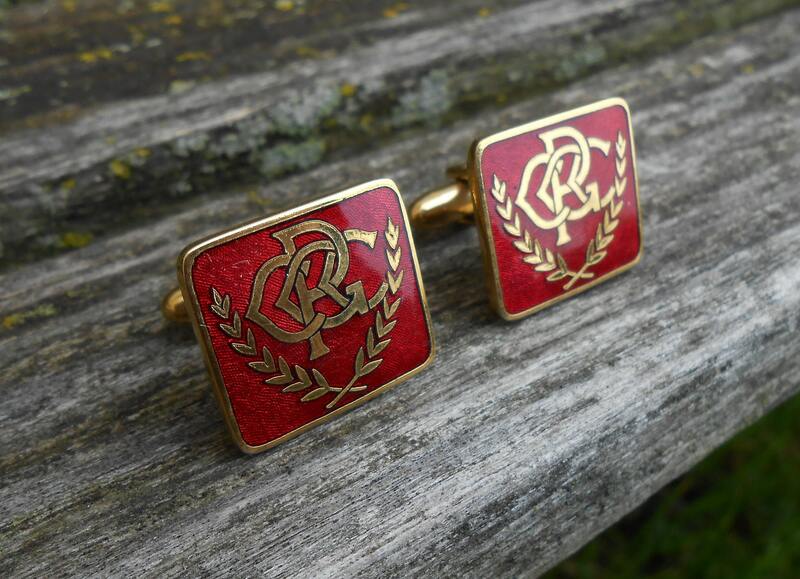 These vintage cufflinks are pretty cool. 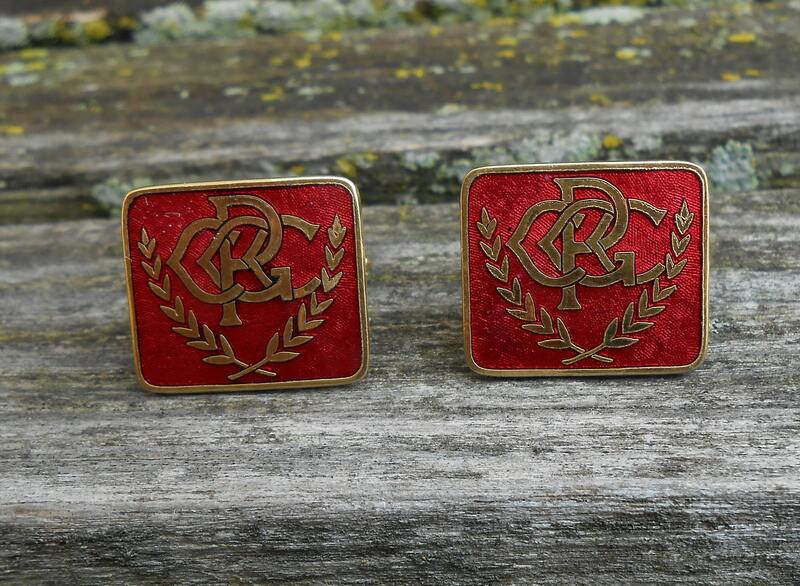 They have the logo for the Professional Golfer's Career College, in gold and red. Many golfers have attended this college, including some in the PGA. 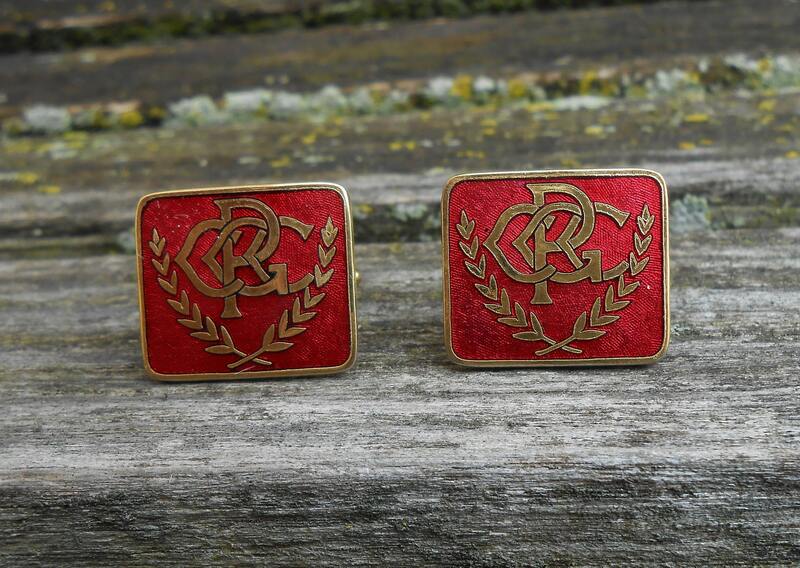 They are in excellent condition. 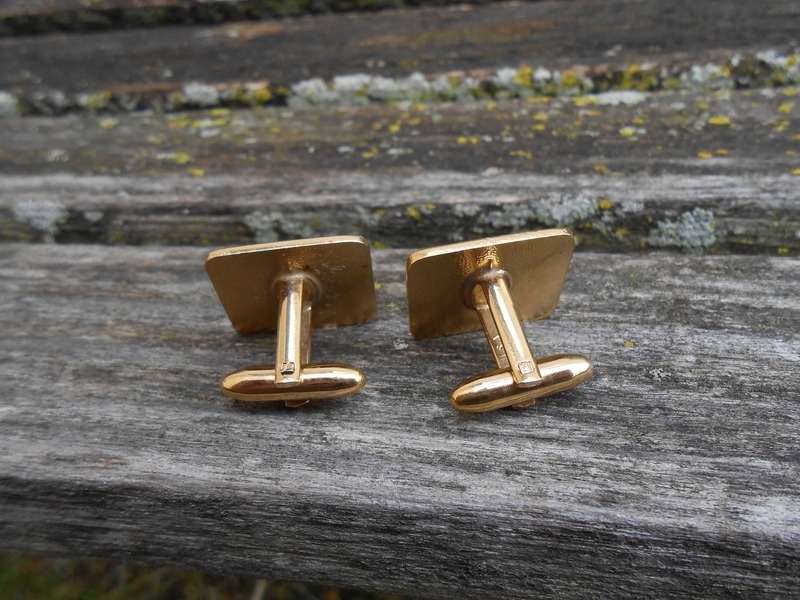 The cufflinks measure 3/4" x 7/8"
These would be great for any time of the year! 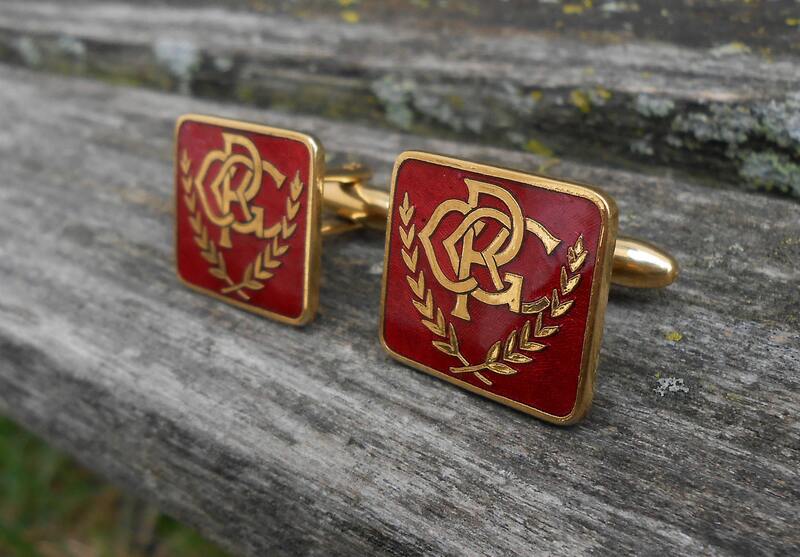 They are wonderful cufflinks for a wedding, for a Christmas gift, for Father's Day, or a birthday. Made by Hickok in the 1990s.